They never fail to catch my attention, even now when I see them in Italy, and I usually can’t help but snap a quick photo. Why? Because I just love their artistic aspect. They remind me of … a form of art. Over the years they have come to grow on me, probably because I have discovered a few go-to flavors that are perfect for when I’m in the mood for a small, particularly sweet treat. (Those who know me know I have a much greater weakness for savory things than I do for sweets). So what’s it made of? 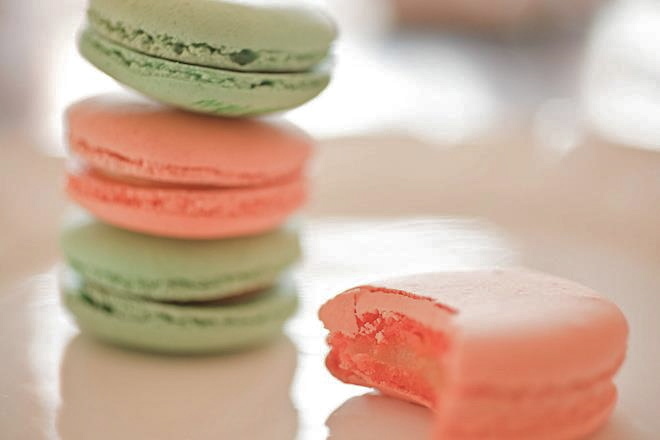 The famous French macaron (derived from the Italian word maccarone or maccherone, the Italian meringue) is made from five simple ingredients: egg whites, icing sugar, superfine white sugar, ground blanched almonds and food coloring, to create a meringue-based sweet. 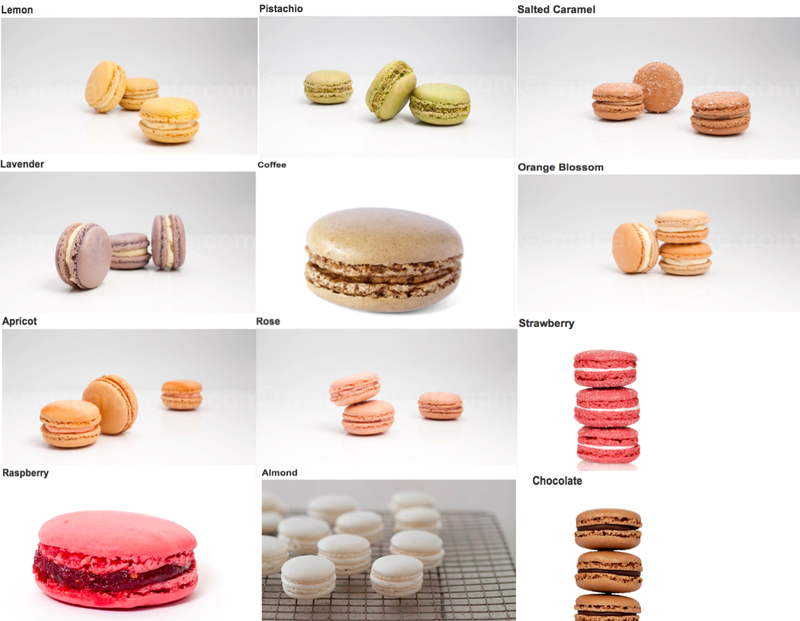 Common flavors include: almond, blueberry, strawberry, chocolate, orange, lemon, pistachio, caramel, vanilla, raspberry, honey, coconut, orange, coffee, rose and lavender. My top three personal favorites are almond, coffee and raspberry.